Competitive teams spend their entire season practicing, perfecting and improving their skills, technique all in order to compete in the highest level that their respected program offers. However, what is a team supposed to do when their final competition is cancelled for something completely out of their control? This was the situation that the competition marching band was faced with the week of their scheduled final competition at Middle Tennessee State University when a white lives matter rally was scheduled to take place nearby at the same time. The Contest of Champions contest that was planned to be held at MTSU was cancelled due to a fear that the planned white lives matters rallies would draw a possibly violent crowd that could endanger the competing teams. There were no protests scheduled to occur on campus, but because of the close proximity of the campus to the downtown area the event organizers chose to be safer rather than sorry. Though this decision was made in the best interest of the students, that didn’t stop the emotions over why their competition was being disrupted from flowing. 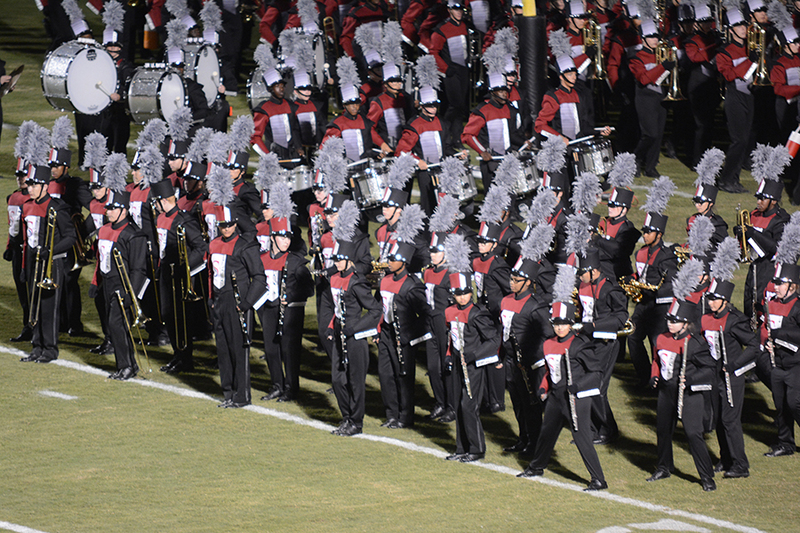 The disruption tin the season also greatly affected the seniors in band, because the Contest of Champions was meant to be their last marching competition for their high school career, and for some, their last ever. This fact added insult to injury in many students eyes, and made it even more important for them to find a new venue to compete at. In light of all the displaced bands, Spring Hill High school came to the rescue, and overnight was able to organize a competition the same day as the contest of Champions and they named it the Contest of Resilience. “Spring Hill decided to open up their doors and their field to all of these bands and so you could just sign up. Normally it takes months to plan [a competition] out, but this literally happened overnight. So, Spring Hill was just like ‘We don’t want you guys to lose out on anything so you can come here,” Byrd said. This action from Spring Hill meant a lot to all of the bands, and especially the seniors. Band is meant to be a uniting community that allows individuals to come together and, in the case of many forms of art, express themselves. Drum Major Josiah Drake holds this strong opinion about band, and was extremely angry at the prospect of denying his fellow bandmates from being able to express their feelings through their final competition. However, he was relieved that Spring Hill gave them that final opportunity to do what they had been working for all season.